Discover a multitude of tasty, healthy plant-based lunch recipes that will not leave you slaving over the stove for hours on end. I love this book and all of its wonderful recipes in it Katie has again done an excellent job , offering us different uses for our instant pot to bring it to good use. 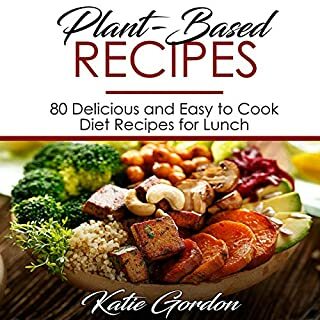 Plant-based diets have numerous health benefits and can reduce cholesterol, high blood pressure, or the risk of illnesses such as heart disease or cancer and can help those struggling with obesity and weight-related health issues. A balanced plant-based diet consists of a wide variety of foods including fruits, vegetables, whole grains, nuts, and seeds. 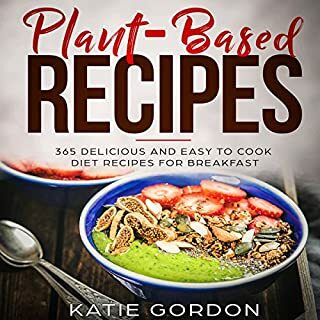 When combined to make one of the many delicious breakfast meals included in this book, these plant-based ingredients can provide most, if not all, the vitamins, nutrients, and proteins you need to kick start your metabolism. the author, makes her books easy to read and understand. Her ideas are easy to follow and she makes the more technical concepts clear to the uninitiated. I have several of her books and have recommended them to friends.